Fiona qualified from the University of Bradford over 30 years ago and founded our practice in 1993. Her wealth of experience as an Optician has cemented her popularity and reputation in the community and as a result, she has built an unrivalled level of trust. After a decade of working in multiples, Fiona set out to build a practice based on a key set of principles, those principles being compassion, clinical excellence, genuine rapport and longevity of care. These principles continue to underpin our approach to eye care and Fiona personifies this with her conscientious and thorough approach to testing. Although she is very well established as an optometrist, Fiona prefers not to rest on her laurels and enjoys keeping abreast of the latest studies. She has recently completed a postgraduate course in clinical optometry with Cardiff University, extending her expertise in areas such as acute eyecare, and paediatric optometry among others. As if that wasn’t enough, she is also learning Japanese! 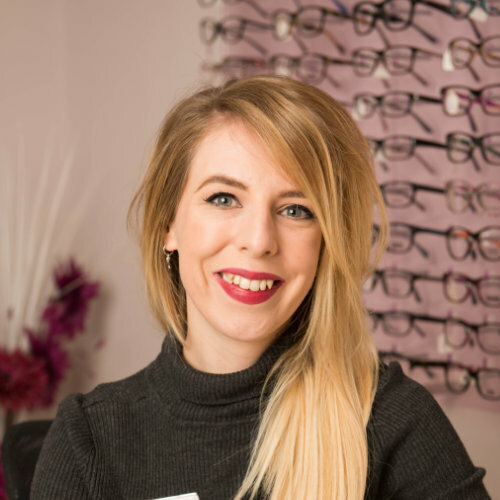 Steph is Fiona’s daughter and has been involved in the practice since the age of 15, when she obtained the first of many optical qualifications. Her career in optics has grown from strength to strength and she is now a registered Dispensing Optician and our beloved practice manager. 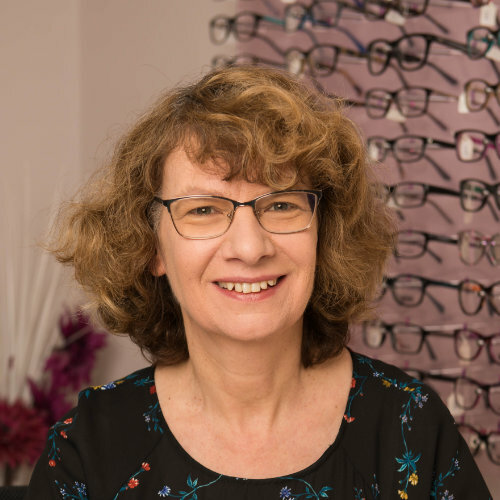 Steph has devoted much of her adult life to optics and possesses a rich and diverse knowledge on both eyewear as well as more clinical matters like eye health. Her knowledge, experience and skills make her the best choice for clients with more complex or specific requirements. Steph has very high standards and relishes a challenge. Her ability to think outside the box and dedicate herself to finding a solution to a problem has won her many loyal clients who have unquestionably benefitted from their time with her. Kate has become a familiar and reassuring face to many. Her years with the company have seen her gain experience and knowledge in many aspects of eyecare but it’s in customer service and communication that her true passions lie. As such her role is a varied one. If you follow us on social media or read our blog (and you really should!) it is Kate’s voice that you hear. She co-ordinates our visual merchandising, marketing and works alongside Steph to manage our projects and charitable events. Our presence within the industry and the community is of the upmost importance to Kate and she is always thinking of new and fresh ways to reach out and build relationships. Maisie cut her teeth in optics at a well-known, multiple practice in Bath and although she enjoyed her time there, she was keen to progress to an independent practice where she could spend more time with the individual client and work with a larger variety of products. Maisie is a fantastic optical advisor, with a flair for adjustments and fitting. She also has a superb knowledge of contact lenses, an area of particular interest to her. Maisie herself has worn corrective eyewear from a young age (as have most of our team) and can always be relied upon to offer honest, well informed advice. As our primary technician Maisie possesses a keen eye for detail and quality. Often found in our onsite lab, she really knows her way around a frame and her work is always of the highest standard. Alex is our student dispensing optician and advisor. Upon joining our team Alex displayed an immediate flair for optics and an innate understanding of clinical excellence. Her natural talent has provided a fantastic base for learning and she is studying hard, gaining new knowledge and skills day by day. 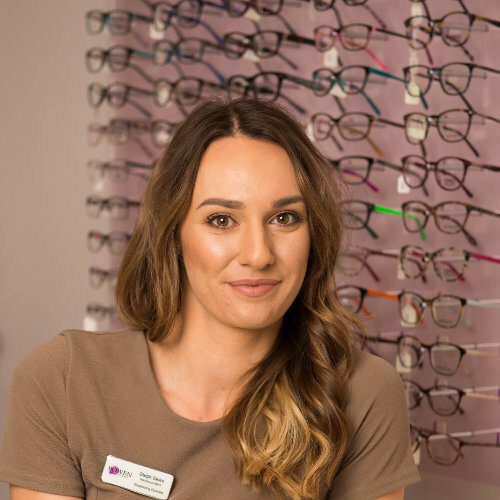 Alex is a real frame fanatic, her love of fashion has seen her take an active role in selecting our frame range as she continues to gain experience working with styles of all shapes, sizes and materials. 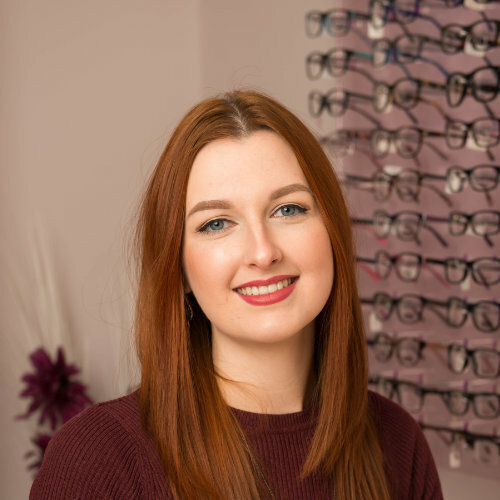 We feel fortunate to have discovered Alex at such an exciting stage of her career, which we have no doubt will see her grow into a fabulous dispensing optician. If we were a restaurant then Sam would be our Maître d’. She is the first port of call for our clients and makes sure that everyone and everything is taken care of. An easy task for someone as charming and vibrant as Sam. Sam is new to us and to optics, but has already demonstrated that it is a perfect fit for her. She has a wealth of experience in customer care and comes from a strong public facing background, coupled with a compassionate and caring nature that makes her an ideal addition to the team. She totally ‘gets’ the Bowen Opticians ethos and we are thrilled to have her on board!